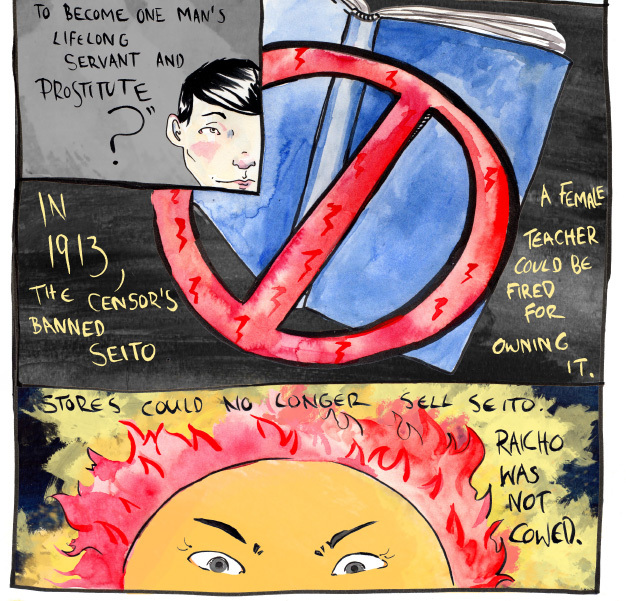 Japanese feminist writer and activist Raichō Hiratsuka (1886-1971) was one of the founders of Seitō, a magazine “by women, for women” in Japan that ran its first issue in 1911. 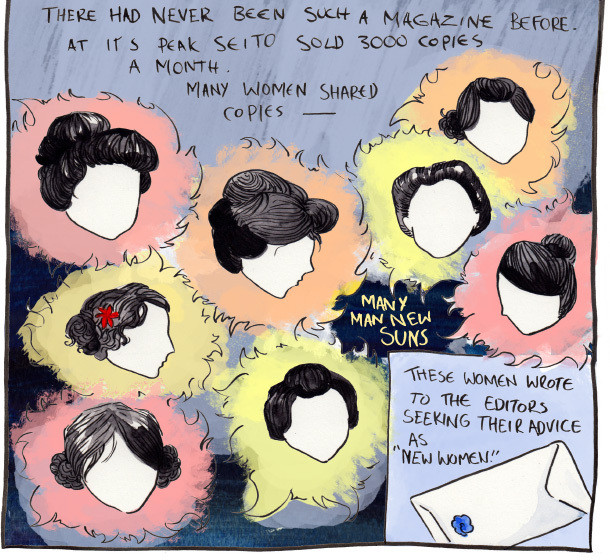 Seitō, which translates to Bluestocking, ran for four years before publishing its final issue in 1915. 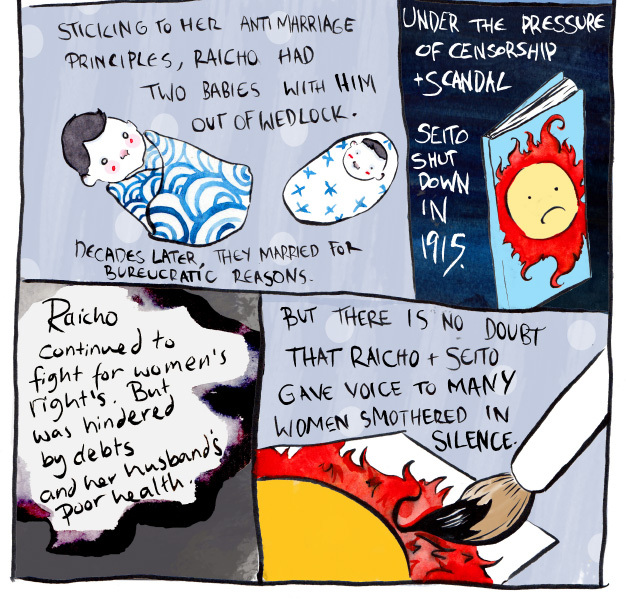 Raichō went on to lead the campaign to secure women’s right to vote in Japan. 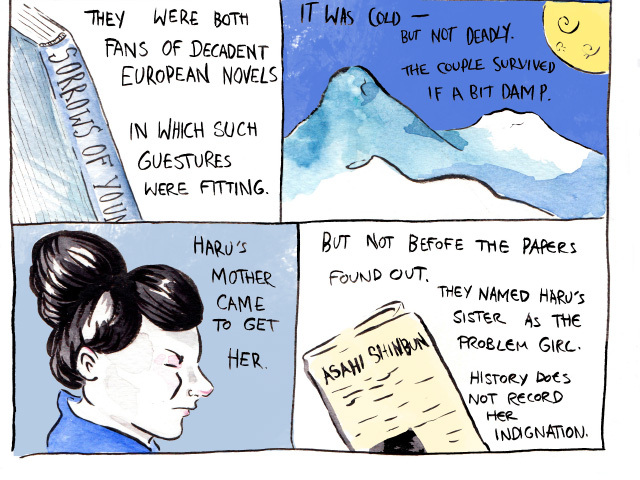 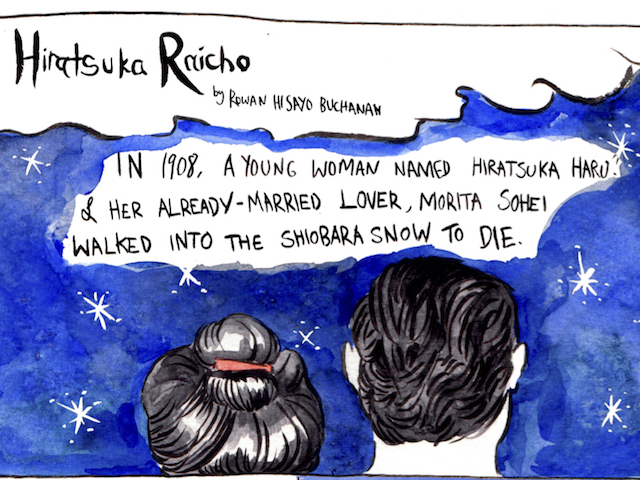 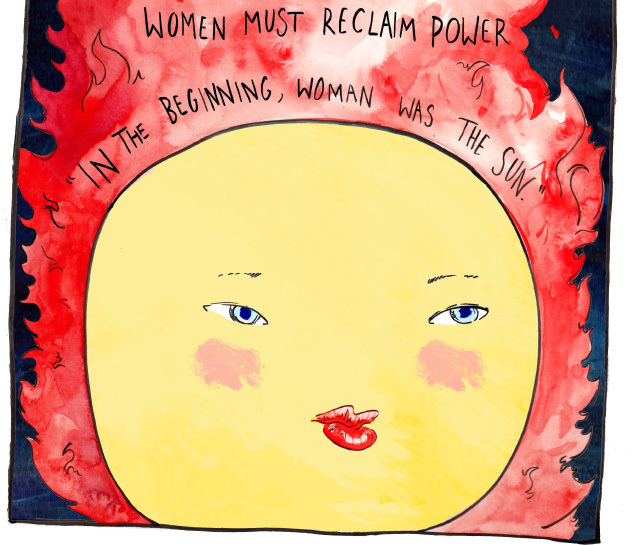 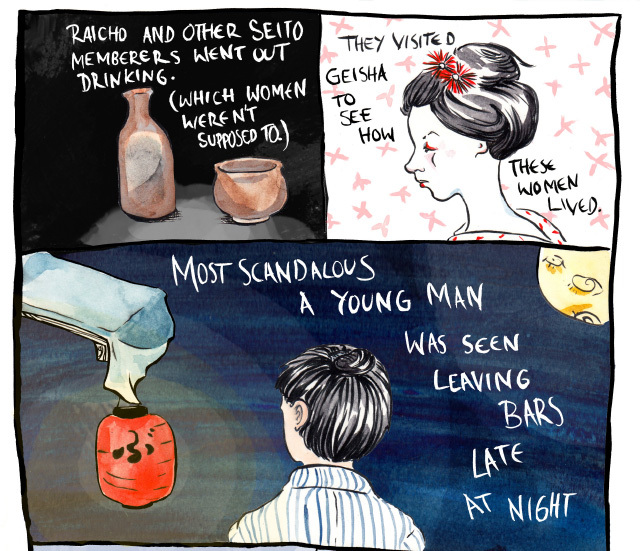 In the following comic strip, 2015 Margins Fellow Rowan Hisayo Buchanan looks back on Raichō’s story for International Women’s Day. 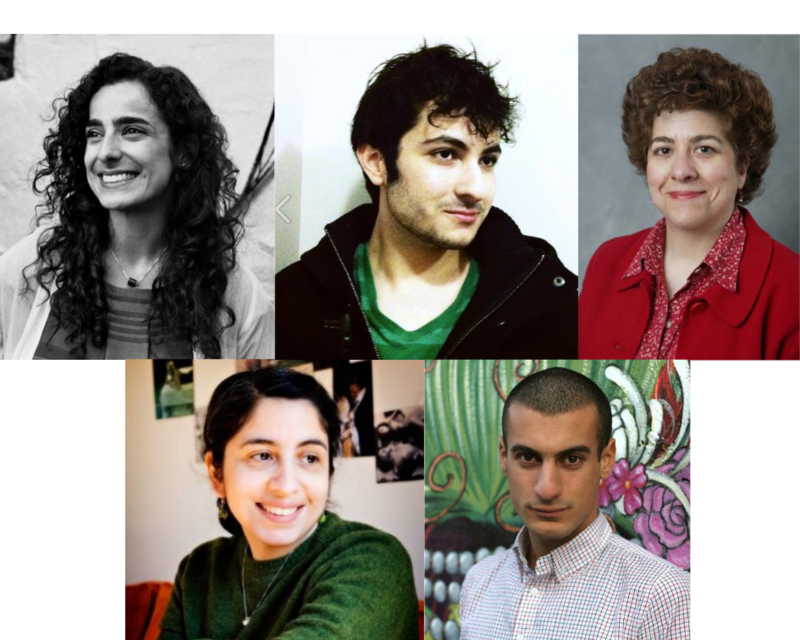 Rowan’s debut novel Harmless Like You was published last week. 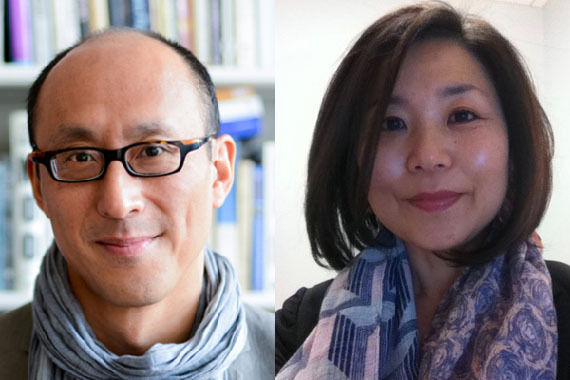 See her read tonight at McNally Jackson Independent Booksellers alongside two-time Philippine National Book Award winner Gina Apostol. 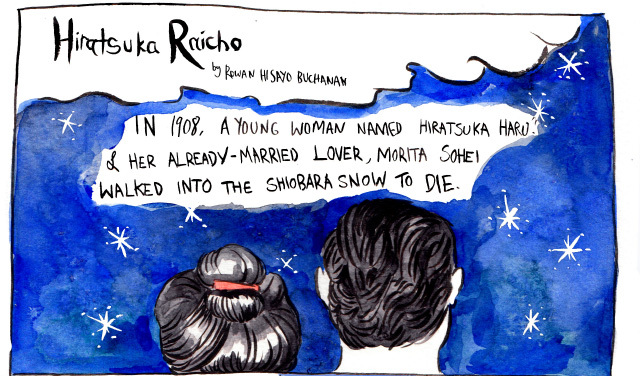 Rowan Hisayo Buchanan is a former Margins fellow whose debut novel Harmless Like You was published by W.W. Norton in the United States on February 28, 2017.